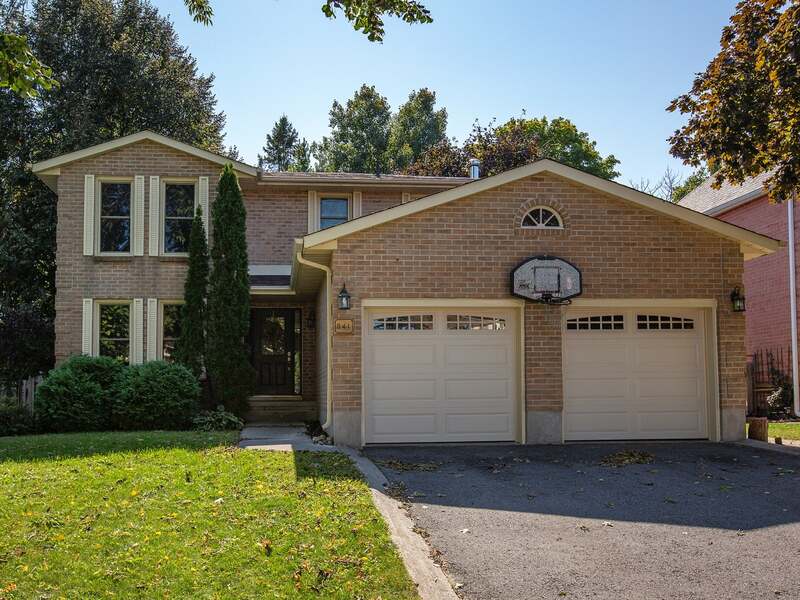 Ideally located in sought after Bayridge, this all brick 4 bedroom, 2.5 bath home offers a 56ft wide lot on a quiet crescent. Centre hall design w/large foyer, spacious formal living & dining rooms, a bright kitchen w/ample storage & counter space overlooking the breakfast nook w/large windows & patio door to fully fenced rear yard w/3 tier deck, covered overhang & mature trees offering great privacy. The family room, set off the kitchen, features corner fireplace w/brick surround. Convenient main floor laundry/mud room from the 2 car garage. Upstairs features 4 large bedrooms incl. master retreat w/11’3 x 11’11 sun room, walk-in closet & 4-piece ensuite. The basement has large rec. room, den & exercise area all finished w/laminate flooring plus LED pot lighting & lots of storage. Updates include: 40 year roof shingles, furnace & windows. New garage doors in 2017, new carpet on stairways, 2nd floor hallway & master bedroom in 2018. Within walking distance to the Cat Centre, restaurants, park and just minutes to all west end amenities. Lot Size 56 x 100 Sq. Ft.